Ready to learn how to paint? Be sure to visit our Let's Paint hub for more information! Have a passion for craft painting? 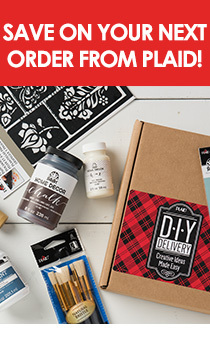 Plaid has got you covered with inspiring project ideas, painting how-to's, fabulous videos, and of course, superior products including Apple Barrel, Delta and FolkArt craft paints and accessories. FolkArt ® Stencil Value Packs - Sign Making, 12" x 12"